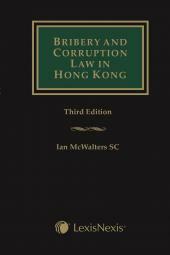 The Butterworths Hong Kong Police Force Handbook includes detailed analysis and annotations on the Police Force Ordinance (Cap 232). 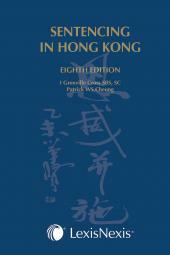 This handbook includes full annotations of the Police Force Ordinance (Cap 232) along with excerpts from legislation pertaining to police force activities in Hong Kong including the Immigration Ordinance (Cap 115), the Dangerous Drugs Ordinance (Cap 134), Offences against the Person Ordinance (Cap 212), the Criminal Procedure Ordinance (Cap 221), Public Order Ordinance (Cap 245), the Road Traffic Ordinance (Cap 374), and the Hong Kong Bill of Rights Ordinance (Cap 383). This new edition covers key updates in relevant legislation since the first edition. Important principles in recent cases are analysed including Sham Wing Kan v Commissioner of Police . 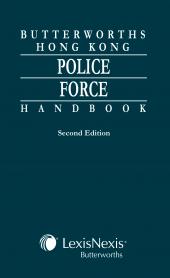 Annotations include updates in relation to duties of police powers (section 10) and arrest and detention powers of police (section 50). Peter is a general practitioner, with an emphasis on criminal litigation. He has experience in defending charges ranging from murder, trafficking in dangerous drug, firearms and ammunition offences, money laundering, corruption and bribery offences, fraud, wounding, to road traffic offences such as dangerous driving. Apart from trial, Peter has experience in appellate work, both as an advocate and a led junior. He has also acted for clients in disciplinary proceedings such as Estate Agents Authority hearings and in tribunal hearings such as Registration of Persons Tribunal hearings. Peter’s practice in civil matters includes land, company and commercial matters, winding-up and bankruptcy, probate, personal injuries and building management matters. Emily has obtained her Bachelor of Laws at the London School of Economics and Political Science and completed her Postgraduate Certificate in Laws at the City University of Hong Kong. Emily has joined chambers in 2013 upon completion of her pupillage with Mr. Hectar Pun (Denis Chang's Chambers), Mr. Bruce Tse (Plowman Chambers), Mr. Graham Harris S.C. (Liberty Chambers) and Mr. S.W. Lee (Liberty Chambers). 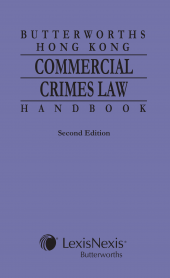 Emily's practice covers mainly criminal matters with a particular focus on commercial crime. Since commencing practice, she has appeared as a junior in the District Court, the Court of First Instance, the Court of Appeal and the Court of Final Appeal as well as undertaking criminal work at the magistracy level. In civil matters, Emily also has experience in drafting pleadings for interlocutory applications, general commercial litigation and injunction matters. Emily is fluent in English, Cantonese and Mandarin and can read and write in both Traditional and Simplified Chinese.